When we were in Spain a couple of years ago one of the many memorable meals of my life was the breakfast buffet in our hotel. 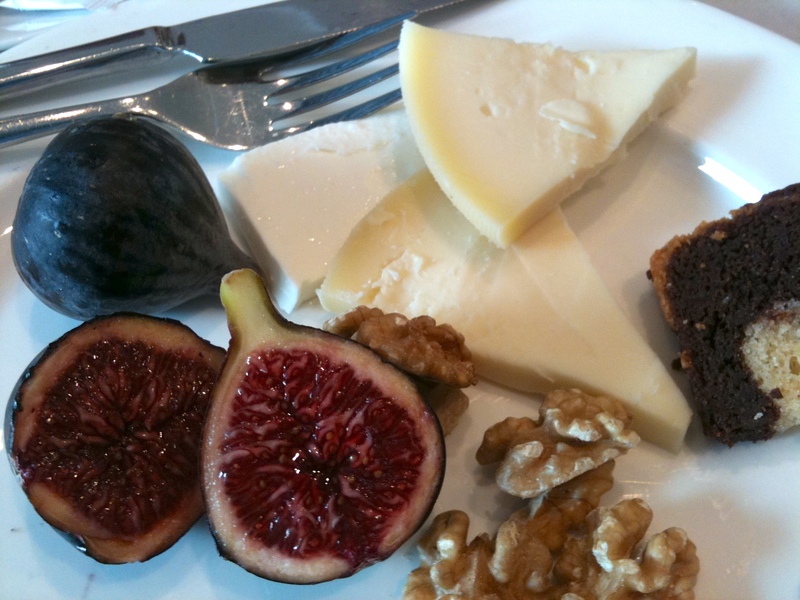 Each morning they had fresh figs… FRESH FIGS, and the wonderful Manchego cheese, for which Spain is famous. Topping it off was local honey to drizzle over, accompanied by walnuts. The photographs don’t do it justice. As most of you have read, I have had a fig tree (named Fiona) for about 10 years. It has bourne me only about half a dozen fruit in that entire time. I yearn for figs, I pay ridiculous amounts of money for them, $3 for ONE in Sydney one time…and even more for one that was stuffed with mascarpone… oh dear. So this week when I stopped into the local green grocer (Fresh in the Desert) I was beyond happy to see that they had FRESH, LOCAL figs. We don’t actually live in the desert, but you can see it from here! Fresh figs are such a luxury. 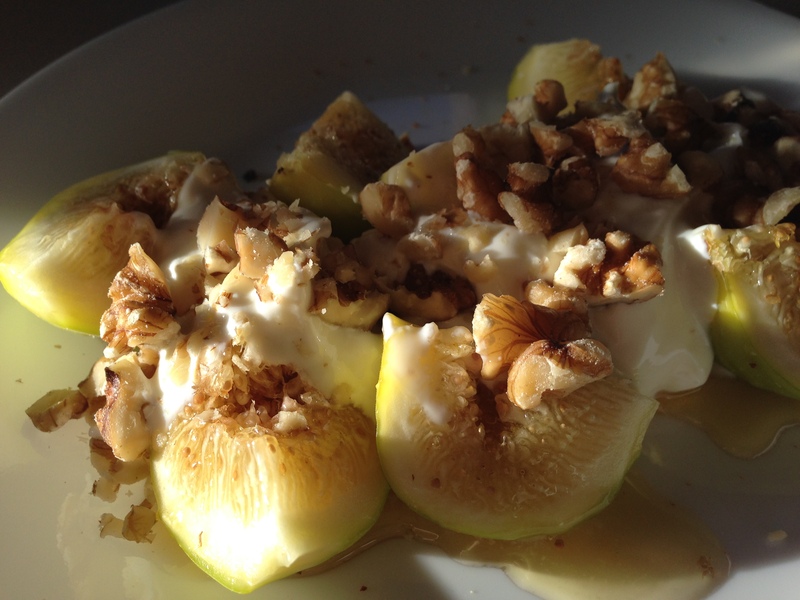 I knew I could never exactly replicate that delicious experience from Barcelona, but my version wasn’t too bad.. warmed figs with King Island Ligurian honey, organic Greek yogurt and toasted walnuts. That’ll do pig, that’ll do*. Mmmm, thanks Ardys. Can’t wait for our figs to ripen! You are such a wonderful gardener, I’m sure your figs will be superb! Ha, ha, I wish I had thought to show them to Fiona, she is certainly very reluctant to get with the program! 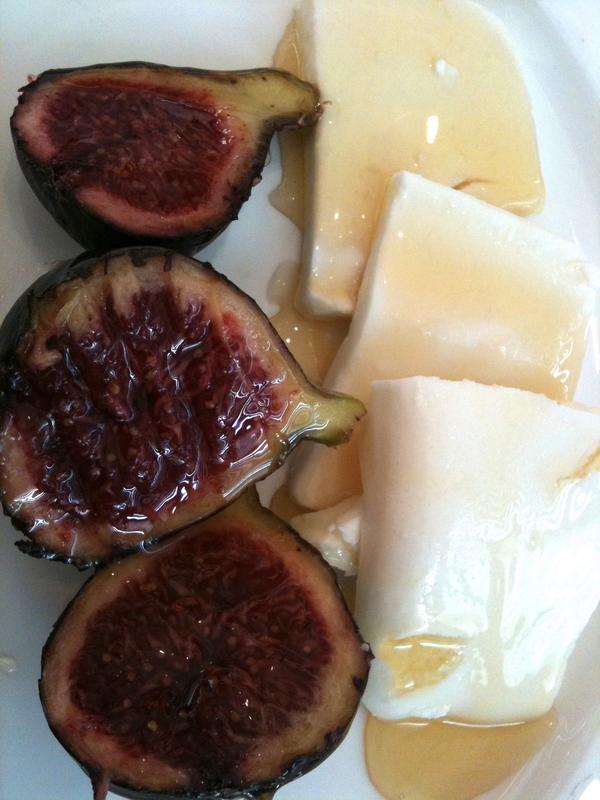 I remember the figs in Italy and have had none that taste the same since then. Did these taste as yummy as they look in this photo? And once again, another perfect photo. I think you should do a photo book of foods around the world.